We trust that our oceans will be here forever — but the truth is that they’re under threat like never before. The Trump administration is still pushing its disastrous proposal to auction off huge swaths of America’s oceans for oil and gas drilling. 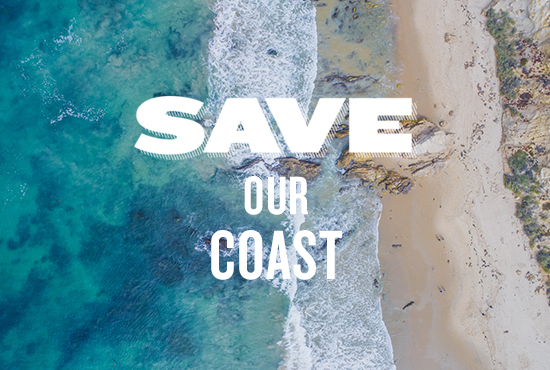 This reckless plan ignores science and public opinion, endangers marine life and coastal communities, threatens coastal jobs and economies, and puts virtually every inch of our nation’s coastline at risk of catastrophic oil spills. Enough is enough. If the Trump administration won’t back down, then neither will we. We need your help to raise a national outcry in defense of our oceans and coastal communities that the Trump administration will be unable to ignore. Make your voice heard now: Tell President Trump and Interior Secretary David Bernardt to keep our coasts off-limits to oil and gas drilling. The Trump administration’s reckless plan to auction off huge swaths of America’s coastal waters to the oil industry threatens our marine life, our coastal communities, and our planet. Tell President Trump and Interior Secretary David Bernardt to keep our coasts off-limits to oil and gas drilling. The American people do not want our fragile coastal waters exposed to dangerous oil and gas drilling. Yet your administration is pushing a new five-year offshore plan that would allow drill rigs to put virtually every inch of our nation's coastline at risk of devastating oil spills. It’s unconscionable, and it must be stopped. Expanding offshore drilling threatens our coastal communities, whales and other marine life with catastrophic oil spills. It blocks our path to a clean energy future and keeps us shackled to the heavily polluting fossil fuels of the past. It's nothing more than another handout to private oil companies, forcing taxpayers to continue subsidizing the fossil fuel industry. I call on you to reject new oil drilling along America's coasts for oil that America doesn't need, just to bolster fossil fuel industry profits. Please protect the American people, not the oil companies, and stop reckless new oil and gas drilling off our shores. Thank you.